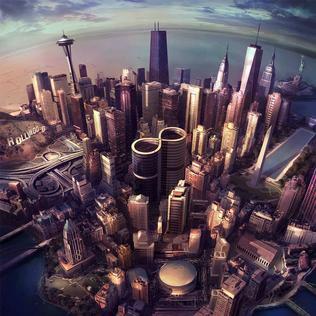 The Foo Fighters have now unveiled what they, themselves have hailed as their most ambitious album yet with their eighth studio album Sonic Highways that has seen them travel across the United States to the cornerstones of American music and culture that has not only been documented in the album, but in the form of a HBO documentary with a plethora of guests, opinions and of course locations from which they recorded each particular track. This is enough expenditure and talk to get even a band as established as the Foo Fighters under a bit of pressure upon the album’s release; pressure that’s even truer given the success of the 2011’s Wasting Light, but have they lived up to the promise and promotion? They start off with Chicago in ‘Something From Nothing’. The tracks opens with a lapping and slightly distorted riff and Grohl’s slightly muted and broken up vocal. It then sets about a step by step build up in sound with the clear and crisp vocals, the whining lead riffs, percussion and bolder, scathing rhythms. At the same time, the song’s rhythms starts to accelerate before being ushered in by Dave’s trademark furious scream into a pit of raging and flashing rhythms, bass lines and lead parts along with a now pounding percussion. It’s a great tribute to the scale of the Foo Fighters, brought to bear in one track. Not a huge divergence, but the story to the track and whole album is indelible and it’s the Foo Fighters at their best; setting you up slowly and hitting you with a musical sucker punch. ‘The Feast and The Famine’ focuses upon the musical legacy and identity of Washington D.C as opposed to Chicago with last week’s single ‘Something From Nothing’ and opens up another, more familiar version of the band. The previous single offered up the band’s full repertoire of scale, volume and aggression on a gradual and enticing gradient; from the lapping riffs to the shredding guitars. ‘The Feast and The Famine’ is more directly evocative of their 1997 album The Colour and The Shape with it’s ringing riffs which are soon turned into churning and raging cacophony that fixates upon the rest of the track. Grohl delivers his classic scream and rapid lyrical out put. A dramatic and theatrical vocal unison pulls the song away from the intensity, before throwing itself back in there like only the Foo Fighters do. Not as skilful as the previous single, but certainly with the same level as enjoyment if not intricacy. ‘Outside’ opens in a muted and whirring fashion before crashing into life with the well lit riffs and percussion as it trails back off into a more gentle, lapping rhythm along with a slightly distorted vocal from Grohl. The track is then opened up with a sharp and cutting lead riff that gives the song a sense of purpose if not difference. 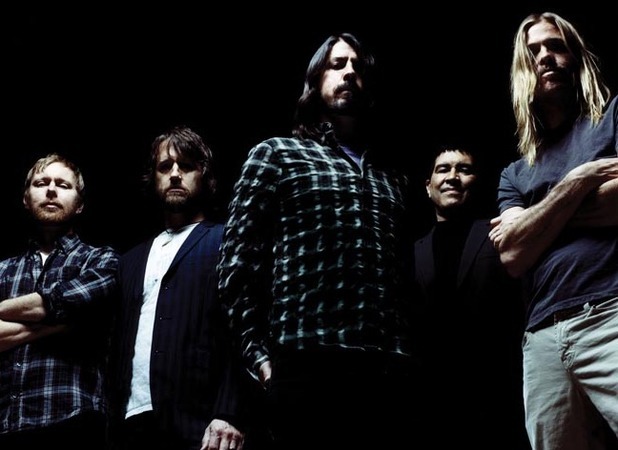 It then goes on to fade off into a more open ended and atmospheric sound with the riffs echoing into the song’s new found spaciousness before another stab at it.’In The Clear’ opens in an intermittent, choppy fashion with carry on in an industrious fashion with some nice melodies filling over the Grohl’s calmer vocals and the soaring backing vocals. ‘Congregation’ is a track that is directed by the lead meandering through the track that has a rattling and smooth progression about it, but the track seems to lack urgency and as a result is a little flat and well worn. Tracks like ‘I am a River’ are more gracious and considered affairs to start off with. The whirring synths and gently humming guitars all echo back into each other as riffs gradually start to emerged from the flashing guitars to be met with a melodic and soft vocal from Dave.song continues on the gradual build up in sound with each verse into the chorus that ups the feel a little, yet controls it throughout for a song that has a nice sing a long quality and a slightly infectious feel even if it is nothing you haven’t heard before. On the whole the album does fall down in a lot of places and the promise of the ‘Something From Nothing’ is gradually diminished throughout. If Sonic Highways is to have a lasting legacy, it will come in the form of the excellent documentary that accompanies this album. Beyond that, this album rarely gives you anything to get excited and invigorated about.